Gregory M. Britton ’84, who has led the publishing program at the Getty Museum and related institutions since 2008, has been appointed editorial director at the Johns Hopkins University Press. 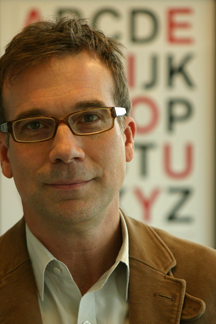 When he joins the staff on May 16, Britton becomes a senior member of the Press’s Executive Committee and assumes leadership of the Books Division’s editorial department of ten full-time editors and assistants responsible for acquiring and publishing approximately 200 new titles annually. Prior to his appointment at Johns Hopkins, Britton directed the Getty Publications program of the J. Paul Getty Trust, the largest museum publishing program in North America, which includes the J. Paul Getty Museum, the Getty Research Institute, and the Getty Conservation Institute. During his tenure, he expanded Getty’s publishing partnerships with European museums, launched the Getty Research Journal, and created an ambitious digital initiatives plan. Before that he was director of the Minnesota Historical Society Press, where he oversaw a significant expansion of the publishing program and a resulting increase in sales and visibility. Britton is a 1984 graduate of Wabash College in Crawfordsville, Indiana, and was working on a Ph.D. in American history at the University of Wisconsin, Madison, when he began his career in publishing. He has been a member of the editorial advisory board of Wabash Magazine for nearly a decade. Established in 1878, the Johns Hopkins University Press is America’s oldest university press and one of the world's largest, publishing 70 scholarly journals and nearly 200 new books each year.